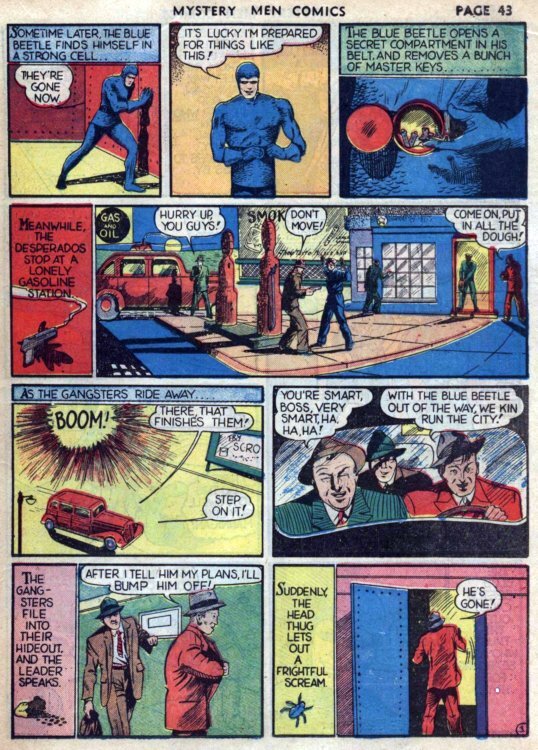 Hero Histories: Reading Room: BLUE BEETLE "Trap for the Blue Beetle"
Reading Room: BLUE BEETLE "Trap for the Blue Beetle"
...so, unlike Batman and the other millionaire heroes, Dan Garret had to depend on his local pharmacy for gimmicks and disguises! 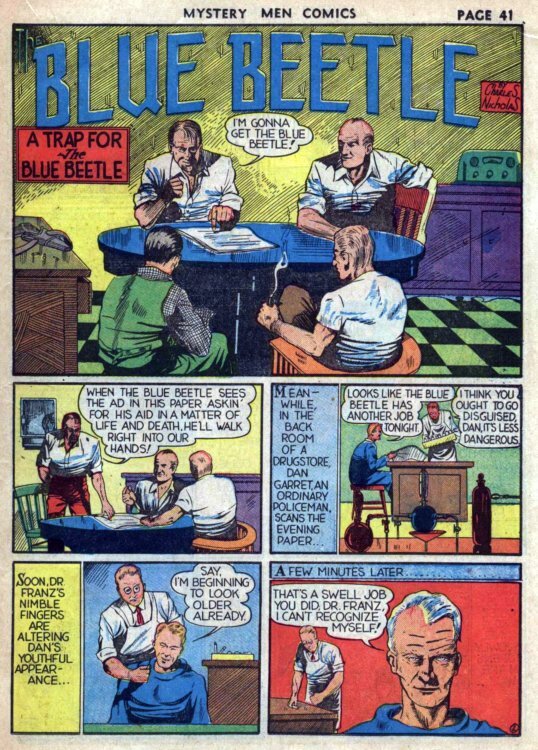 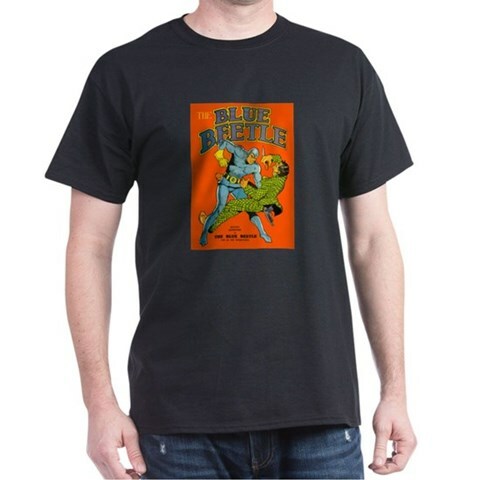 Dan's partner, Mike Mannigan survived for the entire Golden Age run of the Blue Beetle, but when Dan Garret was revamped by Charlton in the Silver Age and became Dan Garrett (note the extra "t"): archeologist, Mike was nowhere to be found. 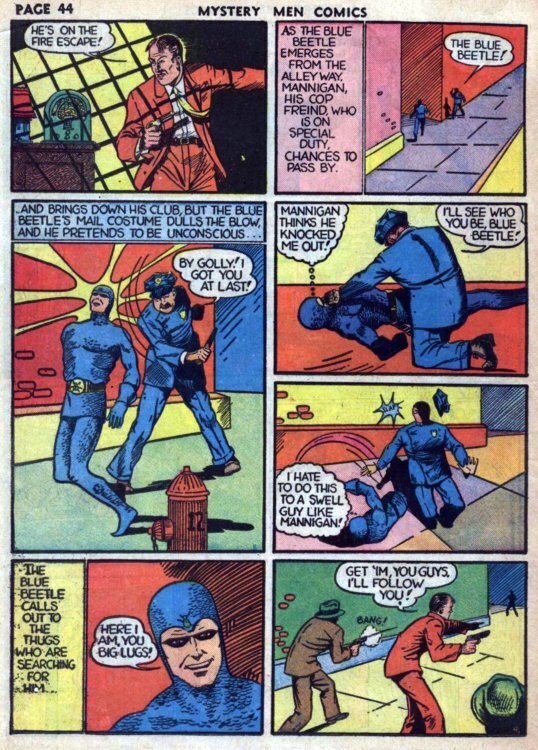 A different version of him did pop up in DC's CountDown mini-series in 2007! 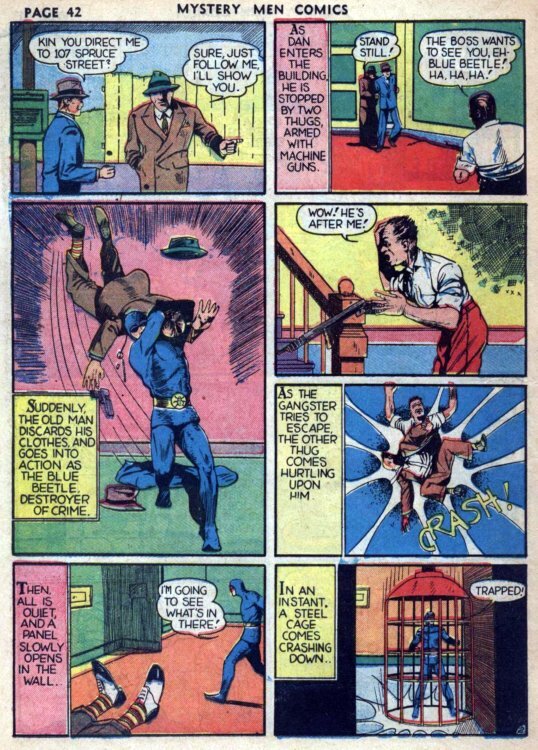 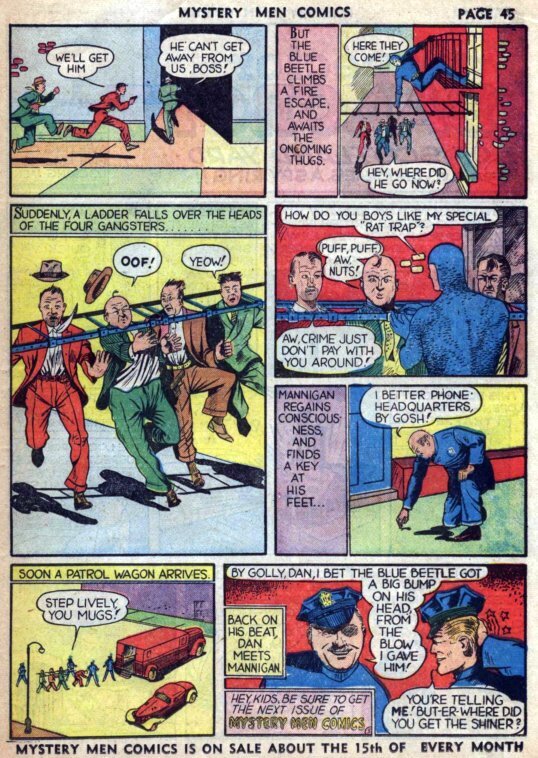 This story from Fox's Mystery Men Comics #5 (1939) is credited to the the pen-name "Charles Nicholas", but was written by Will Eisner and illustrated by Charles Nicholas Wojtkoski, who later used the "Charles Nicholas" name for all his comic work until he retired.